This has become one of our largest and most anticipated events, not one you want to miss. Over 500 business and community leaders are expected to attend the breakfast conference at the beautiful Hilton Tucson El Conquistador Golf & Tennis Resort. 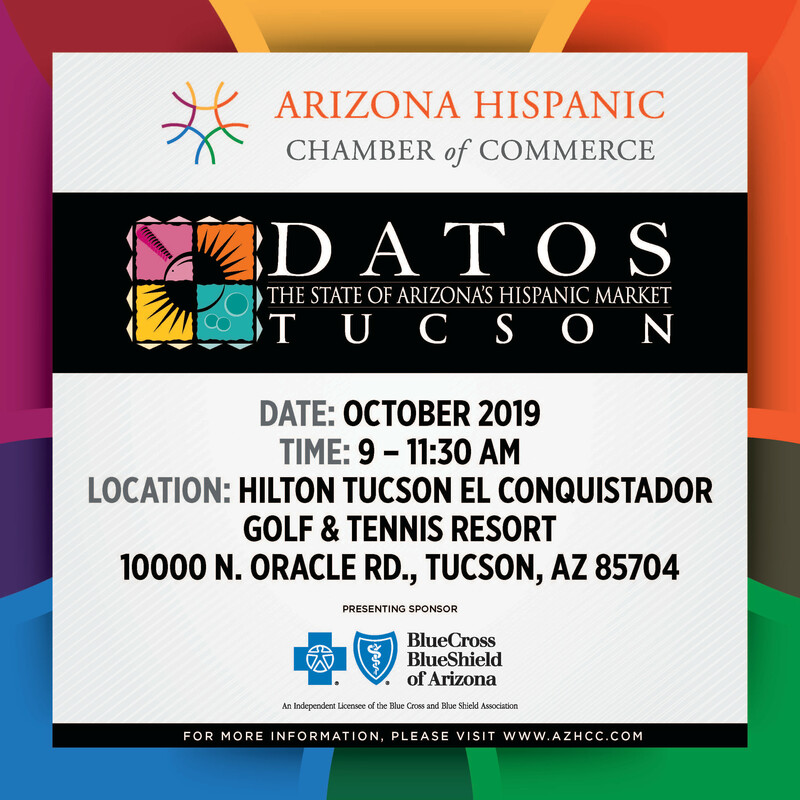 USB Drive - All attendees will have the latest 2019 DATOS report and all previously released AZHCC research publications. For event sponsorship opportunities, click http://bit.ly/DTUS19Sponsorship.